Well a few months ago (early march) I decided to take my wife up to Silver Lake near Brighton Ski Resort to do a little fishing.... We got up there and it turns out the entire lake was full of slush and the trail was covered with snow! We went a little too early in the season haha! A couple weeks ago I decided to try again, this time we were going all out, doing the entire Brighton Lakes Loop Trail. We loaded up our fishing gear and ended up parking in the resort parking lot. It was kind of fun hiking on the ski slopes up to Lake Mary. We ended up fishing there for a few hours and caught a little trout about 8 inches long. It was fun because there was a ton of other smaller fish that would chase your lure all of the way while you reeled it in! Lake Mary was the highlight of trip, it is such a beautiful lake, I would say one of the best in Utah. We hiked from Lake Mary to Twin Lakes and it was a sweet trail through the forest and rocks. It was really windy at Twin Lakes and really cooled us down. 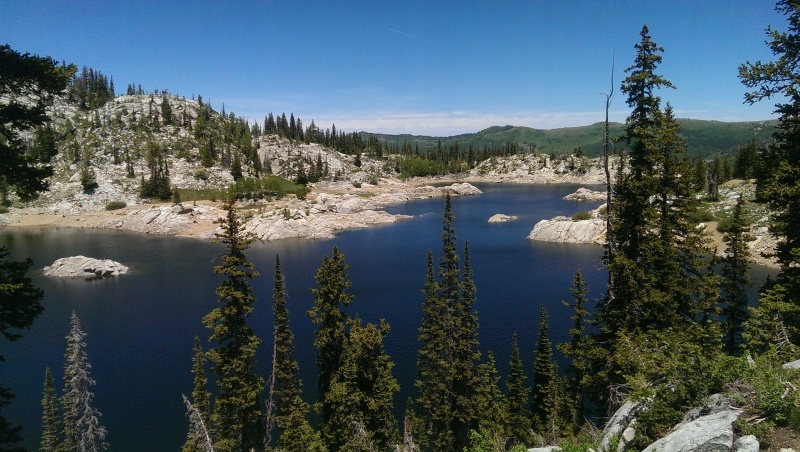 We then hiked back down to Silver Lake. The view coming from Twin Lakes looking over Silver Lake was amazing! We made it to Silver Lake and walked back up the road to our car. It was a great hike full of cool views. We ended up doing the whole loop so we were pretty exhausted by the time we were done. It is so nice up there on the trail though, you really get away from the heat of the summer. Anyways, I thought I would just let you know about this awesome place. It has a little bit of everything for everyone. You can take it easy and just hang out at Silver Lake near the parking lot or you can hike the loop or even try to visit all of the lakes to make a day out of it. Try it out one of these weekends and let us know how you like it! 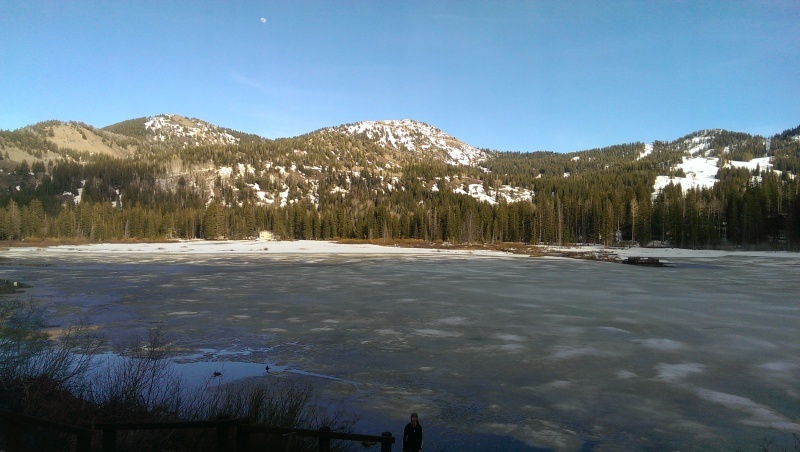 It is only about a half hour drive from Salt Lake up Big Cottonwood Canyon.